Chief of Air Staff B S Dhanoa said IAF is giving priority to the single engine fighters as the twin-engine fighters will cost more. In a major move, the Indian Air Force will start the process this month to acquire a fleet of single engine fighter jets which are expected to significantly enhance its overall strike capability. 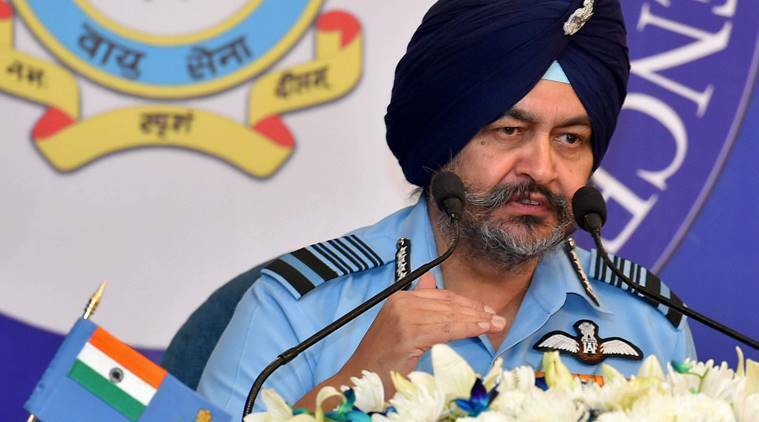 Chief of Air Staff B S Dhanoa said having a new fleet of single engine jets was a “priority” for the IAF and the request for information (RFI) for it is likely to be issued “very soon”. Another top official of the IAF told PTI that the RFI, kick starting the acquisition process, will be issued this month. The fighter jets will be produced jointly by a foreign aircraft maker along with an Indian company under the recently launched strategic partnership model which aims to bring in high-end defence technology to India. “The RFI for the single engine fighter is likely to be issued very soon,” Dhanoa said addressing a press conference. A request for information is a business process aimed at gathering information on the capabilities of various suppliers. Swedish defence giant Saab and Indian conglomerate Adani group last month had announced a collaboration, mainly eyeing the contract for single-engine jets for the IAF. US defence firm Lockheed Martin is also seen as a major competitor for the deal. Dhanoa said IAF is giving priority to the single engine fighters as the twin-engine fighters will cost more. “Right now, we are concentrating on the single engine so as to make up the numbers with lower cost,” he said. The IAF currently has 33 fighter squadrons against authorised strength of 42. The IAF chief, however, said the force has requirement of twin engine jets as well. In September last year, India had signed an Euro 7.87-billion (approx Rs 59,000 crore) deal with the French government for purchase of 36 Rafale twin-engine fighter jets. The supply of Rafale jets is schedules to start from September 2019. Sources said the IAF will start receiving a fresh fleet of 36 Sukhoi jets from 2019. “There is a requirement of tankers which we will pursue again for acquisition,” he said. Asked about the fifth-generation fighter aircraft project (FGFA) with Russia, Dhanoa said a high-level committee has submitted its report to defence ministry which will take a call on it. “The case is with the ministry of defence. The preliminary design phase has been completed. The Varthaman committee has submitted its report which is classified and we have also given our response,” Dhanoa said. In December 2010, India had agreed to pay USD 295 million (Rs 1,897 crore) towards the preliminary design of the fighter, which is called in India as the ‘Perspective Multi-role Fighter’. Answering a question, the Air Chief said that the IAF will consider procuring Predator unmanned combat aerial vehicle in case it is offered by the US. Predator is a remotely piloted unmanned aerial vehicle used primarily by the US Air Force.